Did you predict that a business like Uber, BigBasket, Swiggy would be at the forefront of full-scale disruption? With the right idea and the right tools, you can disrupt your industry. All you need is to brainstorm with people and bring your idea to life. It’s that simple! So, we invite you to join us for a Google Maps Webinar discussion to find ideas to help you disrupt your industry and create the impact that you’ve always wanted to. On this Google Maps Webinar, we’ll also share key trends about maps and location intelligence. This session is highly interactive – your questions will be answered by the panel, and by other attendees so there’s a lot to learn and take away. Want to create the next best thing? Register now. We look forward to seeing you there! 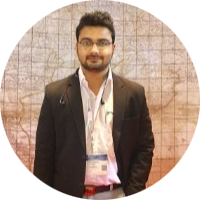 Akhil Shukla is a certified Google Maps Specialist at SkyMap Global. He works closely with companies across India & SEA to help them harness Google Maps to innovate and disrupt. * We respect your privacy. Your information is strictly confidential. By submitting your details, you agree to receive communication about Google Maps from SkyMap Global.